Hailed as "very interesting and very stimulating" by The New York Times, this critical biography explores the life and music ofa supreme master of German song. Austrian composer Hugo Wolf (1860–1903) wrote hundreds of lieder despite the often-overwhelming effects of depression. This two-part volume contains both a biographical narrative and a sensitive survey of the composer's unique contributions to songwriting. Beginning with Wolf's early struggles with academic failures and poverty, the book traces his brief and controversial career as a Viennese music critic, outlining the alternate periods of productivity and paralysis that led to his final mental collapse and untimely death. Author Ernest Newman writes with exuberance and keen perception of Wolf's flowering as a composer and the birth of his song cycles — the Keller songs, the Spanish, Mörike, Goethe, and Eichendorff volumes — in addition to critiquing a variety of other choral and instrumental works. Music lovers of all ages will appreciate this guide to an extraordinary composer's life and works. A supreme master of German song, Hugo Wolf wrote 260 melodies and a pair of operas. 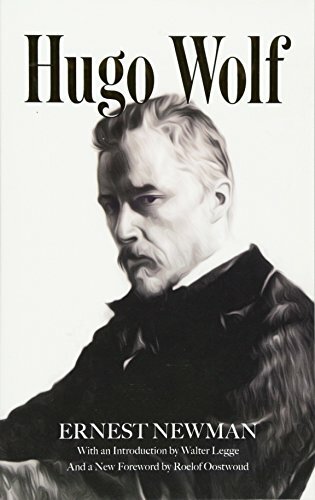 This volume recounts the tragic story of the erratic genius's life and surveys some of his works, including 60 pages on Wolf's songs and 35 pages on his operas. "Very interesting and very stimulating." - The New York Times.